Does not include jeans or shoes. Great costume for those people who dont really like getting dressed up. Good quality , and exactly as shown. 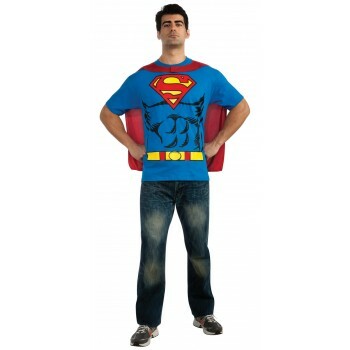 Bought this and a wonder women t-shirt with cape to attend kid's dress up party, they loved the cape! Bf loved the instant abs as well.